Infant Death Crisp died in 1863; Died in infancy. He was born in 1863. [S143] 1850 U.S. Census, 700 Pennsylvania Ave., NW, Washington, District of Columbia, USA, District 45, Harrison County, Dwelling# 1394, Family# 1394. Lizzie Cross was born in 1880 at Monroe, Ohio, USA.1 She married Clyde Denbow, son of Hamilton Denbow and Ellen Thompson, in 1900 at Ohio, USA. Her married name was Denbow. William Cryer was born on 15 September 1886 at Pennsylvania, USA. He married Lillian Hunter, daughter of Samuel Hunter and Roseanna Robertson, in March 1909 at Illinois, USA. William Cryer died on 27 November 1972 at Pennsylvania, USA, at age 86. [S139] Find-A-Grave (Eliz Cubbage), online http://www.findagrave.com/cgi-bin/fg.cgi, Birth, death dates are within the right parameters, and the location is correct. Sarah E. Cubbage was born in 1840. She married Robert C.H. Denbow, son of Soloman Denbow and Sarah Elizabeth Cubbage, on 6 June 1866 at Knox, Illinois, USA. Her married name was Denbow. Sarah E. Cubbage died on 7 November 1868 at Knox, Illinois, USA. Bonnie Lou Cunningham was born on 8 September 1943 at Ashland, Ashland, Ohio, USA. Her married name was Bonnie Denbow. She died on 26 August 1993 at Cleveland, Cuyahoga, Ohio, USA, at age 49; She was injured in an automobile accident at the union of U.S. 250bypass West and 250 North at Faultless Drive. She was in criticalcondition for about two weeks before she died. She was buried on 30 August 1993 at Ashland, Ashland, Ohio, USA; Funeral service was in Grace Brethern Church, Ashland, Ohio, at 6:00 p.m. on Sunday, 29 Aug 1993. Bonnie's husband Doug gave a 25-minute sermon based on a 'lesson plan' he had devloped. It outlined the mission work that the two of them had done together. He concluded that God's ways are perfect. William Earl Cunningham was born in 1899 at Ohio, USA. He married Jane Geraldine Kirby, daughter of James Joseph Kirby and Margaret Gill, in 1937 at Ohio, USA. William Earl Cunningham died in 1987 at Ohio, USA. Marguerite M. Cusic was born in 1907. She was also known as Marguerite M. Sherer. Emamuel H. Custer was born on 10 December 1806 at Cresaptown, Allegany, Maryland, USA. He married Matilda Viers in 1824. Emamuel H. Custer married Maria W. Kirkpatrick in 1835. Emamuel H. Custer died in 1892. Emmauel Custer was born in 1754. He married Anna Miller in 1800 at Harrison, Ohio, USA. Emmauel Custer died in 1854 at Jessups, Howard, Maryland, USA. George A. Custer was born on 5 December 1839. He died on 25 June 1876 at Montana, USA, at age 36. Jacob Custer was born on 17 June 1790. He died in 1862. John Custer was born on 26 February 1782. He died in 1830. Susanna Custer was born on 27 November 1783. She died in 1850. Lela Czaats was born in 1902 at Ohio, USA.1 She married William Denvar Wise, son of Charles C. Wise and Sarah Bertha Denbow, in 1922 at Ohio, USA. Her married name was Wise. Matilda Dailey was born in 1811. She married Gabriel G. Bobo, son of Israel Bobo and Margaret Graham, on 6 January 1842 at Meigs, Ohio, USA. Her married name was Bobo. Matilda Dailey died on 15 September 1849. She was buried at Athens, Ohio, USA. Eritis Daniels married H. C. Denbow, son of John Denbow and Jane Miller, on 3 May 1902 at Blodgett, Scott, Missouri, USA. Her married name was Denbow. Tressie M. Dapper was born in 1896. She married Wayne Franklin Collins, son of Benjamin A. Collins and Bertha Blanche Sherer, on 15 July 1915. Her married name was Collins. Tressie M. Dapper died in 1975. 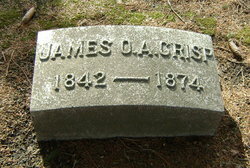 She was buried at Crawford, Ohio, USA. Rennie Daugherty was also known as Rennie Doney. Seleta Elizabeth Davidson was born on 27 June 1843 at Alabama, USA. 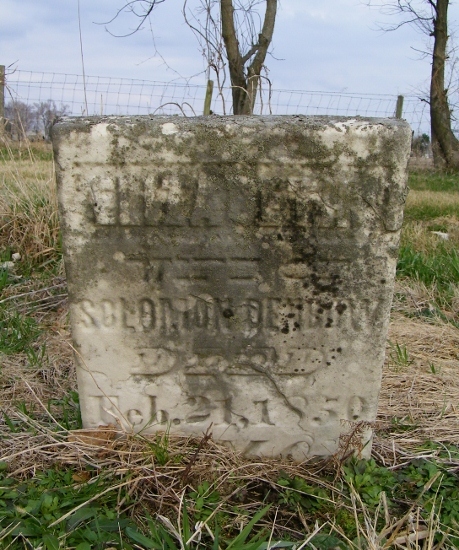 As of 7 March 1865,her married name was Denbow. She married James Alexander Denbow, son of Jesse Denbow and Mary Vandergraft, on 7 March 1865 at Pleasant Hill, Dallas, Alabama, USA. Seleta Elizabeth Davidson She attended Female Academy in Pleasant Hills, Alabama, started byher father. She died on 15 December 1920 at Chatfield, Navarro, Texas, USA, at age 77. She was buried after 15 December 1920 at Chatfield, Navarro, Texas, USA. Polly Davis married Israel Bobo, son of Gabriel Bobo and Elizabeth Garner, on 29 July 1832 at Meigs, Ohio, USA. Her married name was Bobo. John G. De Friez was born on 9 May 1837 at London, Middlesex, England, UK. He was naturalized in June 1859 at Nantucket, Nantucket, Massachusetts, USA. He married Mary Denbow, daughter of Soloman Denbow and Sarah Elizabeth Cubbage, on 28 March 1877. John G. De Friez died on 8 December 1917 at Alden, Hardin, Iowa, USA, at age 80.